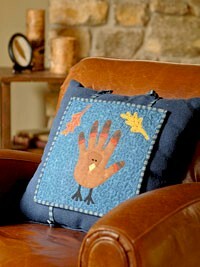 Make this cute tie-on pillow topper to spruce up your seasonal decor. Get the free pattern from Better Homes and Gardens. 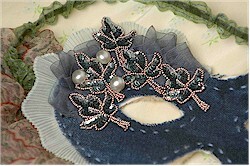 Nancy Minsky has published a tutorial on Craftzine.com for an incredibly elegant, upcycled mask. It starts with a scrap of denim. Seriously! See the tutorial. 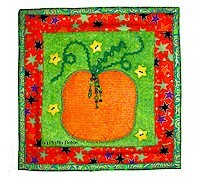 Phyllis Dobbs is sharing the pattern and instructions for this precious seasonal mini quilt. Get the PDF file. And please remember that Phyllis is offering this design for your personal use only. I can’t wait to make one of these! Jenny Shaw of Stitcher & Scribbler blog is offering a tutorial for this adorable embroidered spiderweb wall art, complete with a dangly spider. See the tute. 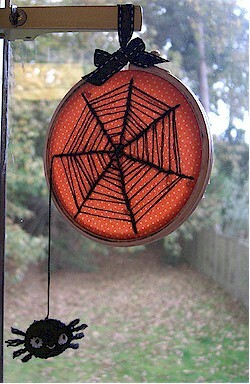 The perfect Halloween hoop by Anna of I Made This Sh*t. (I’m skeered.) Go to her blog post for an image you can click to enlarge. 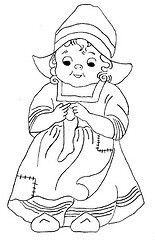 It’s too late for this year, but tuck away this cute pattern for stitching on paper to make next year’s Halloween greeting cards. Crooked Sister created the design. Go to her blog post to download the template. I thought you might be interested in the finished crewelwork projects of the first group of Royal School of Needlework students in the Netherlands. Their work is stunning!